Welcome to the leading manufacturer of stainless steel facades and roofs. Roofinox stainless steel for roofs and facades is nothing less than the evolution of the building envelope. Unbeatable in terms of durability, practically maintenance-free and good for the environment – allowing you to live carefree for years and years. Roofinox stainless steel fulfills the highest aesthetic demands and retains its stunning look for generations. Like no other. There are so many good reasons why Roofinox stainless steel is simply the best material for roofs, facades and drainage. We have compiled 12 of the best for you. 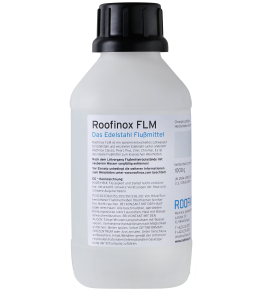 Read on to find out why Roofinox is like no other. The building envelope is the interface between the interior an the environment and thus influence the city or landscape in which it is located too. 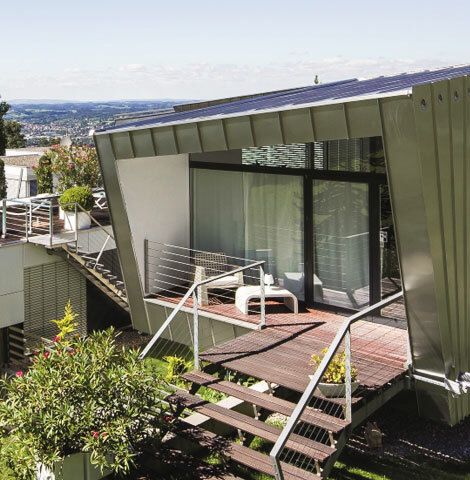 Why is Roofinox stainless steel the evolution in the building envelope? Unlimited design freedom for demanding shapes and designs with Roofinox stainless steel. Roofinox stainless steel for the roof and facade in various noble designs, as well as products for stainless steel drainage can be found here. 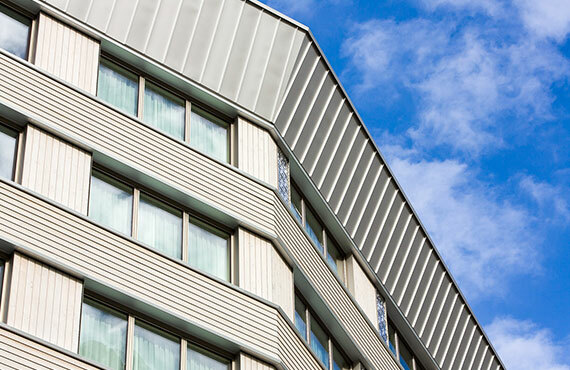 With Roofinox stainless steel, you'll find eye-catching buildings - let yourself be inspired by our reference gallery. Order our brochures here for free. Either to your home, or by direct download to your computer.